NEET counselling 2018 will be started from 12th June 2018. It will be conducted through online mode. The counselling is conducted every year by the MCC (Medical Council Committee). NEET is the national level examination for admission to MBBS & BDS courses offered by various government and private medical colleges of India. The examination is organized by the Central Board of Secondary Education (CBSE). From 2016 onwards, AIPMT exam has been replaced by NEET examination. 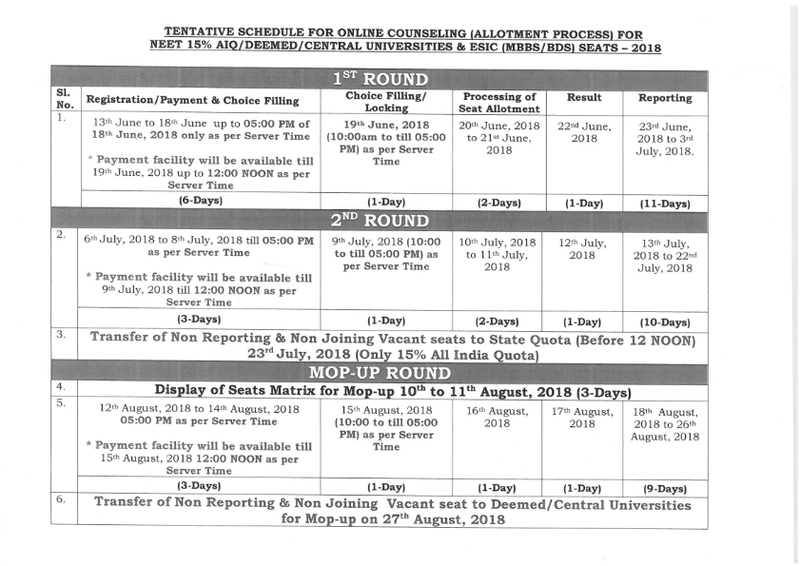 NEET 2018 Counselling Schedule for Deemed/Central Universities has been released now. 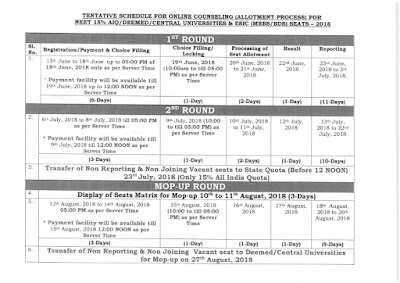 In this article, candidates can check the details of about NEET 2018 counselling, including procedure, schedule and counselling for 15% & 85% seats.